23,978People have completed the Gut Health Assessment. Age spots – the brown spots on your face, chest, arms, and body – are robbing you of your youth. I don’t know about you, but I think it’s time to get it back! Age spots are primarily caused by years of sun exposure. When you’re exposed to the sun, melanin rises to the skin’s surface as a way of protecting itself. Along with blocking the sun from penetrating the skin too deeply, melanin makes skin look darker. While you may love the way your tan looks, over time melanin may start accumulating in little pockets all over your skin. This is how many blotches and age spots (AKA hyperpigmentations) are formed. Age spots can also be caused by tanning beds, certain medications, and genetics. Thankfully, there are a few things you can do right now to reverse age spots and prevent new ones from forming. 1) Avoid the sun between 10 a.m. and 2 p.m. The sun’s rays are strongest between 10 a.m. and 2 p.m. and can cause the most damage during that time frame. Do you typically apply sunscreen after you’re already in the sun? Perhaps you put it on as you’re laying by the pool or after you’ve arrived at the beach. If that’s the case, it’s time to change up your sunscreen routine. Instead, apply sunscreen at least 30 minutes before going in the sun and reapply every two hours. Hats and gloves can go a long way! If you are estrogen dominant eat a hormone balancing diet filled with lots of fruits, vegetables, fiber, a moderate amount of healthy fats, and protein. This would be a great time to detox your body. Also, focus on reducing your stress level. Free radicals in the body can help form age spots. Eating antioxidant-rich foods will fight those free radicals. This Is Making You Look 20 Years Older! Do you want to look younger and feel fabulous? Okay … that’s a silly question. Of course you do! Well, I have a secret for you. The best way to shed years off your appearance is to show your skin some loving. New studies show that dark spots on your face, neck, and hands can make you look up to 20 years older than you actually are. That’s because, not only do dark spots reveal years of sun damage, they can also trick the eye into thinking your skin is bumpy, uneven, or wrinkly – even if it’s not. No one wants that! The good news is, you can get rid of age spots, sun spots, acne spots, or liver spots. But before you start evening your skin tone, you should really know what’s causing those nasty spots in the first place. 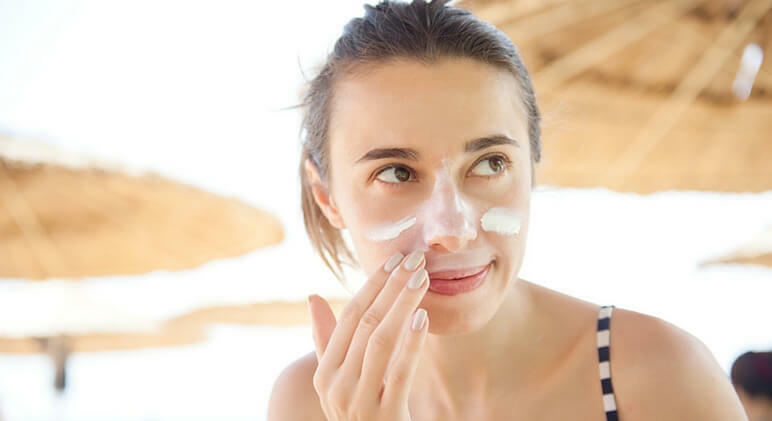 About 90 percent of dark spots are caused by routine sun exposure. In an effort to protect itself, your skin produces melanin. 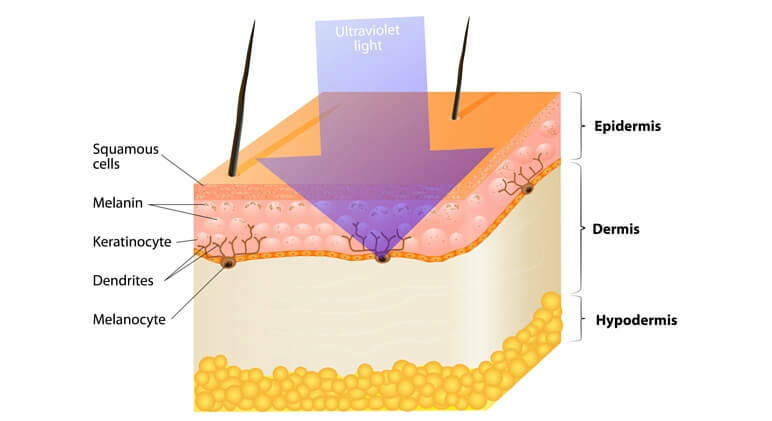 Along with blocking the sun from penetrating the skin too deeply, melanin makes skin look darker. While you may love the way your tan looks, over time melanin may start accumulating in little pockets all over your skin. This is how many blotches and dark spots (AKA hyperpigmentations) are formed. Sometimes spots form without the sun as a result of genetics, acne scars, or taking certain medications. So how can you get rid of these unwanted spots? First things first, you should get dark spots checked by a professional to make sure they aren’t cancerous. While dark spots can turn into melanoma, often times, they are just a visual frustration that add years to your appearance. See the dark spot eraser thousands of people are talking about! For many years, people have turned to skin bleaching, chemical peels, and/or laser treatments as a way to reduce the appearance of dark spots. Let me first address skin bleaching. The problem is many bleaching creams are loaded with toxic chemicals that aren’t healthy for your skin or body. Remember – what you put on your skin seeps into your bloodstream and impacts your health. Dermatologists even warn patients that such bleaching products can cause cancer. Fewer dark spots on your skin certainly isn’t worth that risk. Plus, your spots may not even fade completely! Top dermatologists say bleaching creams can sometimes leave a light ring around dark spots, making them look even worse! While chemical peels and laser treatments are popular, they can be quite painful, require a recovery period, and are expensive. Then there are the cheaper home remedies. Sure you can try rubbing lemon juice or onion juice on your skin. Some people swear by those stinky solutions. But chances are you’ll get frustrated in a week or two when you don’t see results and then stop. It may seem like there isn’t anything else you can do to get rid of dark spots. But, if you remember back to the beginning of this article, I told you that evening your skin tone is possible! Conventional fruits and vegetables are sprayed with pesticides. Every year, more than one billion pounds of pesticides are used in the US. This isn’t something that you should overlook. With hundreds of different chemicals being sprayed on our food, researchers and doctors are linking pesticides to mental health problems in both children and adults. 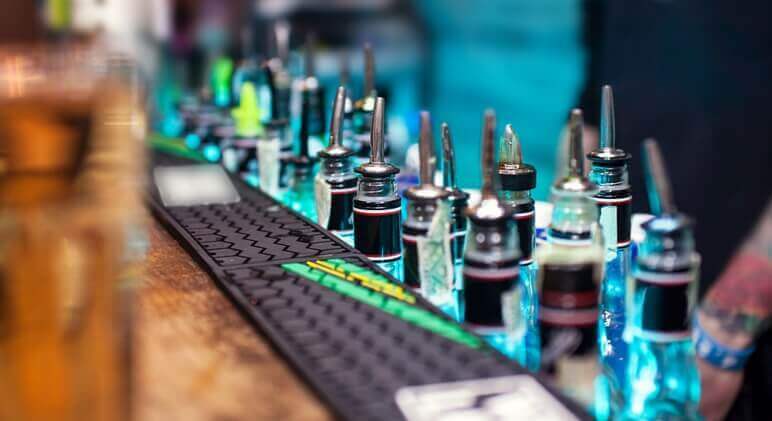 According to Dr. Joseph Mercola, these poisons disrupt signals between our neurons, which is an action that’s been linked to neurodegenerative diseases. GMO stands for “Genetically Modified Organism.” To put it simply it’s not a product of Mother Nature. Rather, it’s a product of science that’s created to “enhance” the food we eat. By adding GMOs to produce, we get brighter berries, hardier crops, and seedless fruits. Although GMOs have been deemed safe by the Food & Drug Administration (FDA) in the US, over 60 countries around the world have outright banned or strictly regulated the production and sale of GMO products. To date, GMOs can be found in roughly 80% of all the crops grown domestically in the United States. What’s worse – GMO foods do not have to be labeled as such in the US. One way to ensure you’re not eating GMO food is to eat organic. Organically grown food cannot be genetically modified in any way! Conventional meats contain hormones, antibiotics, and other drugs that aren’t healthy for our bodies. The higher up the food chain, the more harmful substances they have in their body. That’s because their food contains these substances too. Every year in the US, tens of millions of pounds of antibiotics are used in animal feed. In fact, as much as 70 percent of all antibiotics sold in America are fed to chickens, cattle, and hogs. Additionally, animals may also be given growth hormones to artificially increase the amount of meat and milk the cattle produces. The hormones and antibiotics given to the animals many people eat can negatively alter gut bacteria. Killing off good gut bacteria means “bad” bacteria will take over. This can lead to Leaky Gut Syndrome, poor immunity, weight issues, skin problems, and diseases. Scientists, doctors, and the government also link the consumption of conventional meats with drug resistance in humans. Find out how to improve your gut bacteria today! >>> Click Here To Learn More! Studies have shown that organically grown foods have more vitamins, minerals, antioxidants, and enzymes than commercially grown foods. That’s because the soil used to grow organic produce is managed and nourished with sustainable practices by responsible standards. Additionally, researchers have found organic dairy and meat contain about 50 percent more beneficial omega-3 fatty acids. It’s believed that eating fruits, veggies, and grains sprayed with pesticides exposes the thyroid to toxins that negatively affect the body’s fat-burning system. As you probably know, a sluggish thyroid and slow metabolism can lead to weight gain. So make the switch to organic today! Have you ever heard the popular saying, “You are what you eat?” Well, that isn’t entirely true. Instead, people should really say, “You are what you absorb.” Think about it — you can eat all of the vegetables and fruits in the world, but if your body isn’t absorbing their nutrients then you aren’t reaping any of the health benefits. Nearly 90 percent of nutrient absorption takes place in the small intestines. From there, nutrients enter the bloodstream where they are put to good use by the body. If you suffer from Irritable Bowel Disease (IBD) or another type of gastrointestinal disorder, though, your intestines will more than likely struggle with absorption. This is why many IBD patients are malnourished. If you are suffering from a damaged digestive tract, start taking probiotics immediately. Probiotics are “good” gut bacteria that can improve digestive health and heal a leaky gut. The benefits don’t end there, though. Probiotics can help improve almost every function of the body. Interested in learning about the BEST digestive health product on the market today? This is a formula we trust and has been used by thousands of happy customers. Plus, it comes with a 100% money back guarantee. Other great supplements to heal a damaged digestive tract include collagen and digestive enzymes. In order for your intestines to absorb nutrients, they must be properly broken down. Unlike raw fruits and vegetables, however, fresh juice is already broken down. This makes it easier for your body to digest because your body doesn’t have to do any work. Instead, fresh juices go directly into your bloodstream. Doctors call fresh juices a 15-minute nutrient express to health! Certain nutrients need to be paired with other nutrients in order to work properly. For example, did you know in order to absorb all of the extremely healthy fat-soluble nutrients in your food, you need to eat them with fat? 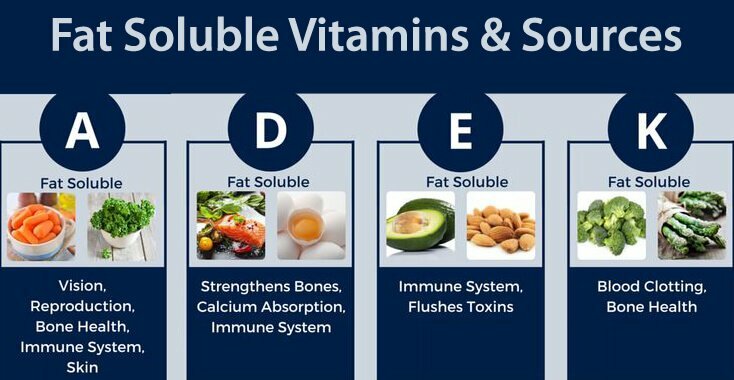 Fat-soluble vitamins include vitamins A, D, E, and K. These vitamins support a wide range of tissues and organs in the body. Two healthy fats that have been proven to improve nutrient absorption include avocado oil and coconut oil. Digestion begins the moment you start chewing and saliva is released into your mouth. You may not realize, but your saliva contains enzymes that help break down food from large particles to small particles, making it easier for the body to digest. According to researchers, this process also makes it easier for your intestines to absorb nutrients from the food particles as they pass through. Also, don’t put more food or fluids into your mouth until you have swallowed. When you go out to eat, are you someone who loves to order a glass of wine, martini, or a cold beer? While an adult beverage is certainly enjoyable after a long day, if you’re looking to benefit from a nutritious meal then you may want to go with water or tea instead. Alcohol affects nutrient absorption in a couple of ways. First, it decreases the secretion of digestive enzymes, meaning your body has a harder time breaking down food. Also, alcohol damages the cells lining the stomach and intestines, making it harder for nutrients to enter the bloodstream. Have you ever been stressed to the max and all of a sudden been hit with a “funny tummy?” That’s because your brain and digestive system are closely linked. As I mentioned at the beginning of this article, poor digestive health can lead to a decrease in nutrient absorption. Click here to find out the many ways stress impacts digestion and the top eight ways to beat stress naturally. Chances are you’ve heard someone talk about oil pulling — the act that involves putting a spoonful of oil into your mouth, swishing it around for upwards of 20 minutes, and then spitting it out into a trash bag. It may sound like a long time and a bit gross at first, but once you learn the many health benefits of oil pulling you may just want to try it yourself. While oil pulling is an ancient Ayurvedic ritual that dates back over 3,000 years, it wasn’t too popular in the United States until just a few years ago. Now, as researchers begin to conduct more studies on how it impacts the human body, a lot of people are waking up to a spoon full of oil. 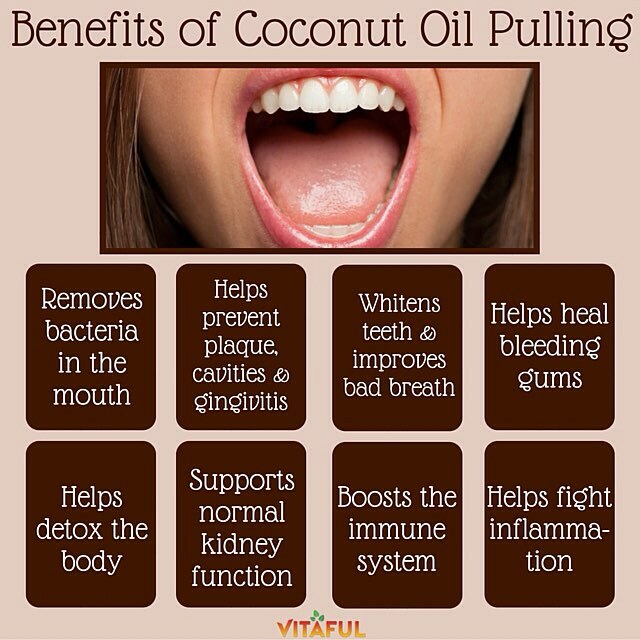 Oil pulling is one of the best ways to remove bad bacteria and plaque in the mouth, promoting healthy teeth and gums. Here’s how it works — as you swish the coconut oil around your mouth, it literally “pulls” the toxins out. Once you’ve swished for about 10-20 minutes, you spit out the toxin-filled oil. It’s easy to do and researchers claim it’s extremely effective. In one study, researchers selected 20 young boys with plaque-induced gingivitis. They separated the boys into two groups – one group oil pulled every day in the morning before brushing. The other group was given chlorhexidine mouthwash every morning. At the end of the study, both groups experienced a reduction in plaque and bacteria. Another study where both young boys and girls oil pulled with coconut oil for 30 days found there was a significant decrease in plaque and gingivitis after just seven days. So you don’t have to oil pull for a long time before noticing a clear difference! 1) The best time to oil pull is first thing in the morning before you eat, drink, or brush your teeth. 2) Gently swish one tablespoon of organic, extra virgin coconut oil in your mouth for 10-20 minutes. When you first start oil pulling, you will probably only last for about 5-10 minutes. That’s fine! The longer you do it, the more used to it you get. NOTE: One of the biggest complaints I hear about coconut oil pulling from people who have never tried it before is the time it takes. While 20 minutes sounds like a long time, I promise the time goes by fast if you do other things at the same time. Do some light yoga stretches, take a shower, or pack a lunch. Before you know it the 20 minutes will be over. 3) Spit the oil into a trash bag. Do not swallow the oil since it will be full of toxins and ingesting those toxins would just defeat the purpose. Also, don’t spit the oil into your sink or down your shower drain so it doesn’t clog. 4) Rinse your mouth with warm water. 5) Brush your teeth like normal.